Directions (Q. 1-5): In each of the following questions, a question is followed by information given in three statements I, II and III. 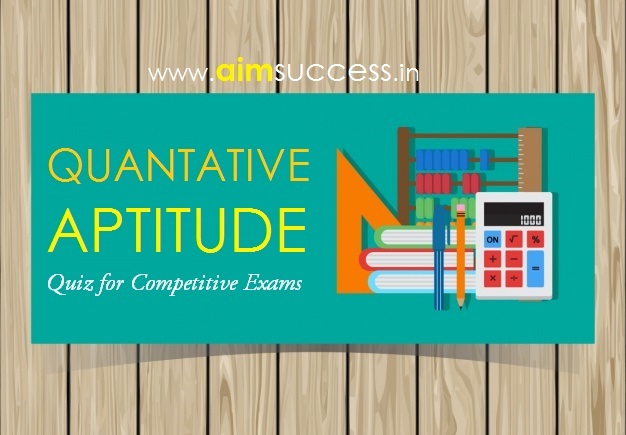 You have to consider the information in all the three statements and decide the information in which of the statements is not necessarily required to answer the question and therefore can be dispensed with. Indicate your answer accordingly. 1. What is the present population of City A? 2. What is the speed of train A? 3. What is the area of a rectangular park? 4. What is a two-digit number? 5. The ratio of the ages of two persons A and B is 3 : 2. What will be the ratio of their ages after 10 years? 6. What is the difference between the total number of adult males of City B and that of City C? 7. What is the total number of adults in City A? 8. The total number of minor males in City F is approximately what per cent of the total number of adult females in that city? 9. 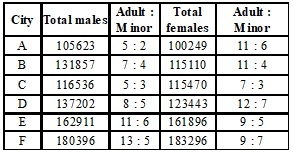 What is the difference between the total number of adult males in City D and that of adult females in City E? 10. The total number of minor females in City A is approximately what per cent more or less than the total number of minor females in City B?